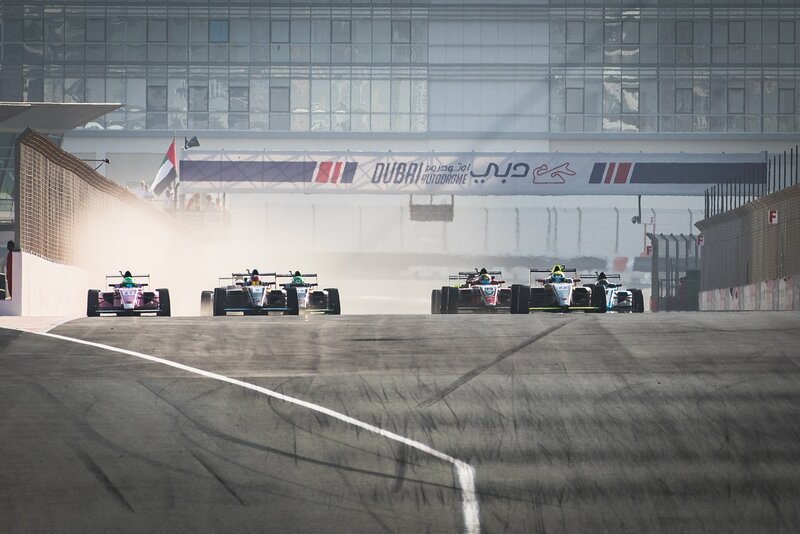 Dubai, UAE, January 13, 2019 - The 2019 F4UAE Championship powered by Abarth began its third season in anger this past weekend, with four different race winners – all first-time F4 victors – topping the podium at the opening round held at the Dubai Autodrome (January 9-11, 2019). Making his open-wheeler debut, Matteo Nannini from Italy (#15) topped the first qualifying session of the season, and converted that into a race–one win for Xcel Motorsport on Friday morning (formerly known as Energy Dubai). 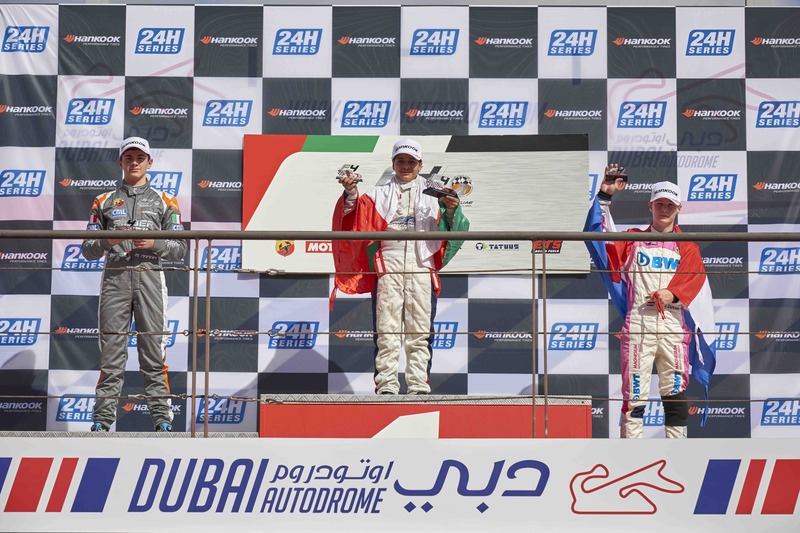 Dragon Racing’s Lucas Roy (#8) – who finished fifth outright in the 2017-18 F4UAE Championship – won Friday’s reverse-grid race two, followed by Omani driver Shihab Al Habsi (#34) and Paraguay’s Joshua Dürksen (#27) who won a race each on Saturday. “Congratulations to all of our winners who drove exceptionally well this weekend and we are very pleased to see so many young enthusiastic drivers on the podium," said Mohamed Ben Sulayem, President of ATCUAE and Emirates Motor Sport Federation, and FIA Vice President for Sport. 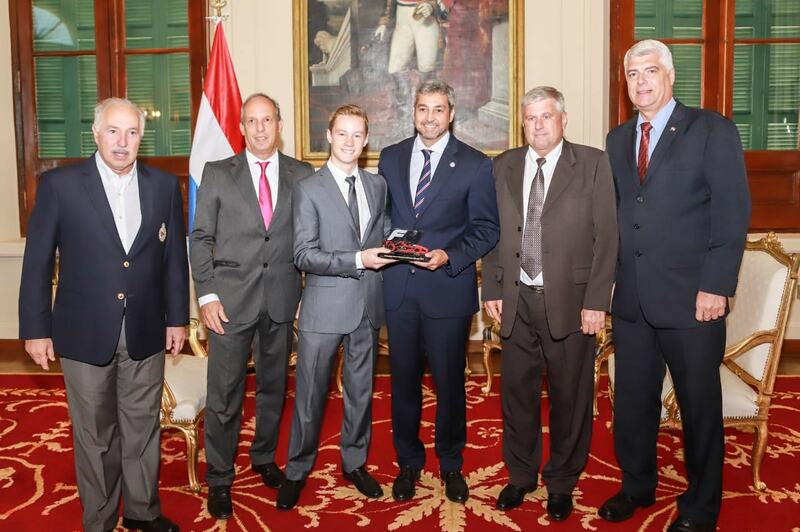 "To have the future champions of the sport come to the UAE and get their first race victories here is a very proud moment not just of their career but of the history of F4UAE, and we look forward to seeing more of their success again at Round 2 in a few weeks." Race 1 was dominated by Nannini who lead from start to finish, battling race-long with Roy in second place who moved up two places from a fourth-place start. Despite initially falling back, Dürksen recovered to third place at the chequered flag to claim his first open-wheeler podium finish. 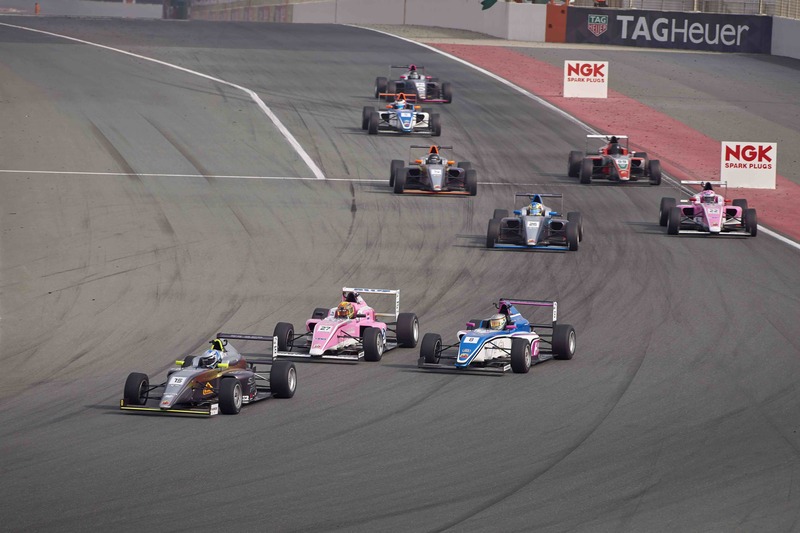 Round 2 of the 2019 F4UAE Championship will be held at Yas Marina Circuit in Abu Dhabi from January 31 to February 2. Championship standings will be made available on www.f4uae.com in the coming days once signed off by category management. Following two successful seasons to date, the FIA Formula 4 UAE Championship powered by Abarth is kicking off its 2019 season as a support to the famed Hankook Dubai 24 Hour event in Dubai this week (January 9-11, 2019). Ten drivers from eight countries will take part in the opening round at the Dubai Autodrome, the first of the five-round season which runs until early March 2019. Being added to Creventic’s Dubai 24 Hour endurance race for the first time, the program sees a new spotlight being put on the Middle East’s premier open-wheeler development category. 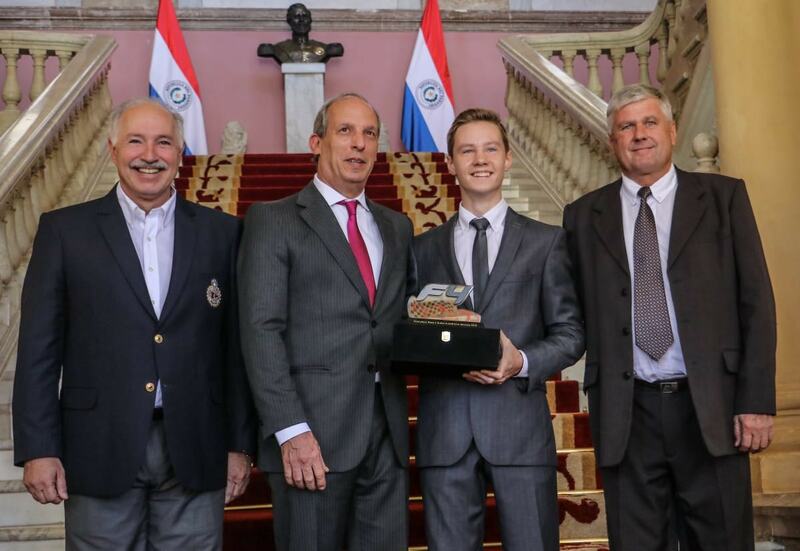 The 2019 season sees the return of the reigning drivers and teams champions, Dragon Racing, with Lucas Alecco Roy continuing on from his 2017/18 season campaign, plus newcomers Rashed Ghanem from Lebanon and Rui Andrade from Portugal. Xcel Motorsport (formerly Energy Dubai Racing Team) welcomes four drivers including Nicola Marinangeli and Matteo Nannini from Italy, Rafa Villanueva from Spain, and 15-year-old Shihab Alhabsi from Oman. 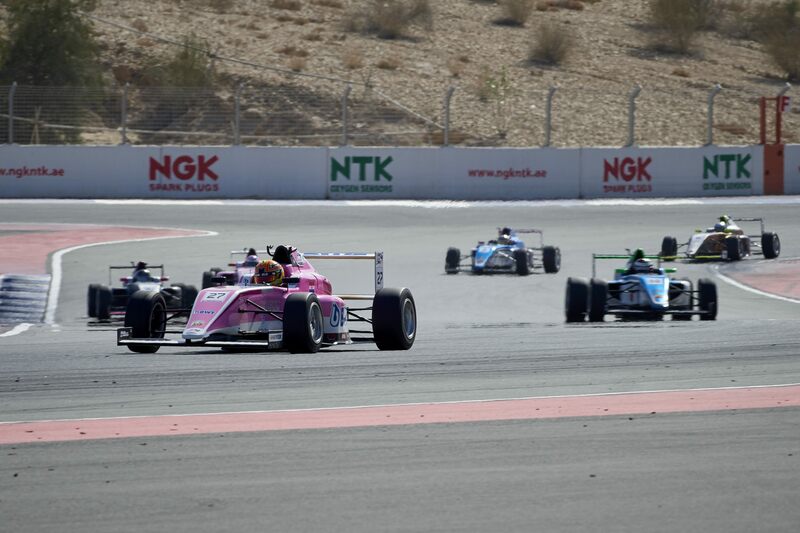 Governed by the Automobile & Touring Club of the UAE (ATCUAE) and promoted by AUH Motorsports, F4UAE is an important part of the UAE’s local motorsport calendar and was the first of its kind in the MENA region for developing young driver talent when launched in 2016. 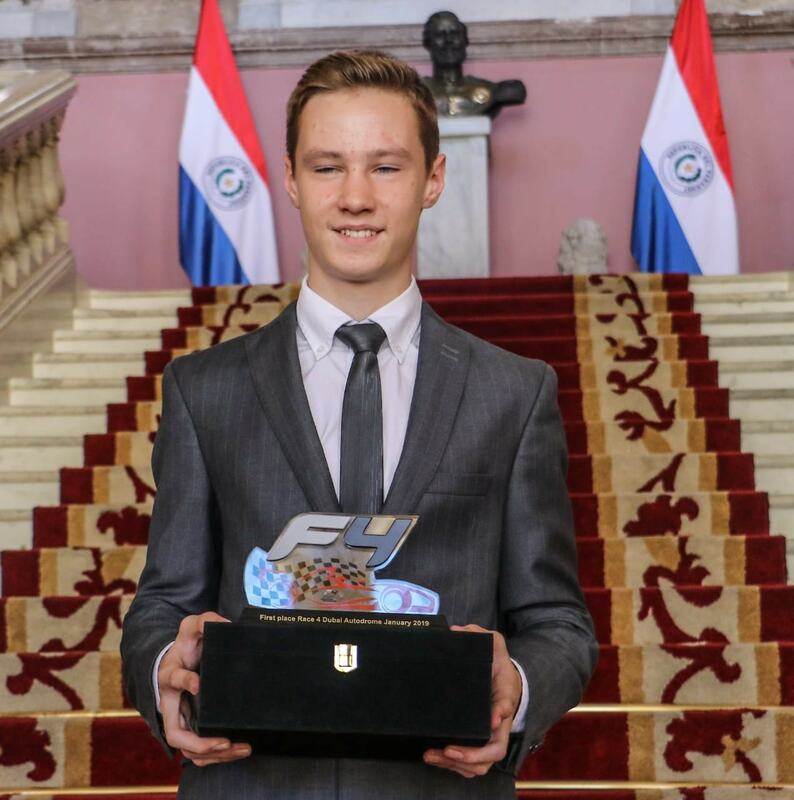 Open to drivers aged 15 years and above, F4 was created by the world’s governing body of motorsport, the FIA, to help young drivers bridge the gap between existing regional racing series and karting, to European competition and potentially Formula 1®. Utilising the Tatuus chassis from Italy with the Abarth Turbo engine, the open-wheeler category allows new drivers extra seat time to become familiar with the unique purpose-built race cars, while teams are given the opportunity to test and refine their engineering and operations at international-standard circuits. Sanctioned testing for Round 1 of F4UAE commences tomorrow, followed by a full program of practice, qualifying and four races will be run across Thursday January 10 and Friday January 11.